Although the sweet potato is an exotic, tropical root crop from South America, it is becoming an increasingly common sight in our local supermarkets. Nutritious and easy to grow, you can plant it just about anywhere so long as the soil is free draining and the plant gets plenty of sun. 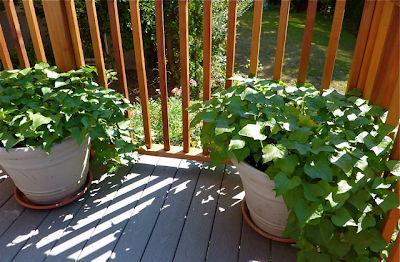 Generally pest free in the northern European countries, the only problem that you likely to get with growing sweet potatoes is slug damage, and this is why the practice of growing them in containers is becoming a far more popular method. Being grown in a pot has other benefits too because not only will it provide better drainage than it would otherwise get in the ground, it will also afford warmer soil temperatures as the pot can transfer heat from the sun directly into the root environment. Both of these factors help to create improved growing conditions. To make the most of the growing season your crop can be started off indoors by planting slips (rooted sweet potato cuttings) or tubers into as large a pot as you can physically move around. This will need to be done approximately 3-4 weeks before the last frost - which in the United Kingdom will mean planting from the beginning of April onwards. They will require a rich, free-draining compost and you can create this by using good quality garden topsoil, horticultural grit and well rotted farm manure mixed together using a 1:1:1 ratio. Slips should be planted at the same depth that they were lifted from, while tubers should be planted on their side at a depth of about 6 inches. To give you a rough idea of spacing you can plant 3 slips/tubers in an 18 inch diameter pot. Being a semi tropical plants they require at least 110 days to mature. They are vigorous, and once they start growing, will readily spread. You can choose to control the vines by growing them vertically up a wigwam or trellis or allow them to trail naturally along the ground. They can be lifted from the end of August, but it is usually better to leave them until the leaves begin to yellow and die back. In fact, you can leave them in the pot for as long as you can so long as they are not damaged by early frosts. Once lifted, the new tubers will need to be allowed to mature for a week or so in the warmest area you have in the house - something like the airing cupboard will be fine. This will allow the skins to ripen and the flavour to sweeten and become true to type. They are now ready for use in cooking and will store quite happily in a cool dry place for a month or so. 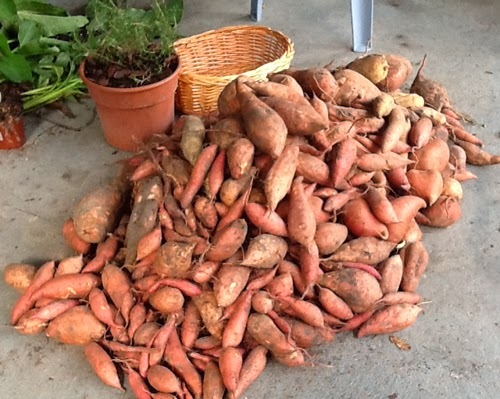 WHEN DO YOU HARVEST SWEET POTATOES? 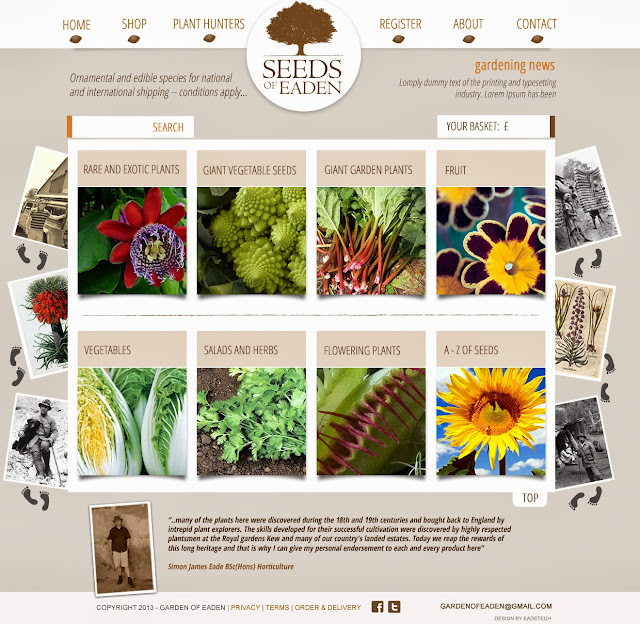 WHICH VEGETABLE SEEDS CAN BE SOWN IN JANUARY?